The National Science Foundation is for second time funding the University of Central Florida -I Corps program, which in the past year has trained more than 100 teams of faculty, students and local entrepreneurs to take their ideas and discoveries from the research lab to the marketplace. The training has led to the launch of 38 companies, which secured more than $1.5 million in funding based on the UCF research. Now, the I-Corps program is looking for its next cohort to go through the entrepreneurial experience thanks to the new NSF funding. The purpose of the I-Corps Site is to foster innovation among faculty, students, and local entrepreneurs in order to nurture and support them as teams, which can then work together to transition their inventions into the marketplace. Once teams complete the UCF I-Corps program, the path to commercial market continues with opportunities for funding from NSF’s national I-Corps program, Small Business Innovation Research/Small Business Technology Transfer (SBIR/STTR) grant funding, or from seed capital sources. Teams are also able to tap into the entrepreneurial ecosystem within UCF’s Center for Innovation and Entrepreneurship and the broader community. With the $300,000 NSF I-Corps renewal grant, UCF will develop and adapt its I-Corps program to support specialty cohorts for local industry clusters, such as Modeling, Simulation, and Training (MS&T), nanotechnology, and optics, and to develop curriculum that effectively serves the large Hispanic population at UCF and in the community. Orlando is one of the most important hubs for modeling and simulation in the nation giving start-up companies a better opportunity to succeed. UCF is also home to one of the nation’s best optics and photonics programs. “We are looking forward to the next 100 teams that will benefit from our program and making the experience even more beneficial. We’ve been working on the program to improve the curriculum, to accommodate specialty cohorts, and to better link teams with the rich resources available in the region to help them succeed,” O’Neal said. Applications are now open for the next I-Corps cohort, which begins in January of 2018. The cohort will be held at UCF, and is open to scientists and engineers at universities and research centers from around the state. Startups from Starter Studio will take the stage at Demo Day tomorrow evening to highlight what they’ve accomplished, pitch their business, and show you why their startup will succeed. (ORLANDO, Fla) – The University of Central Florida’s (UCF) Innovation Corps (I-Corps) program is partnering with local regional incubators, accelerators and other organizations supporting entrepreneurs, as Community Affiliates, to provide education programs combined with intense coaching and mentoring services to early-stage technology entrepreneurs. 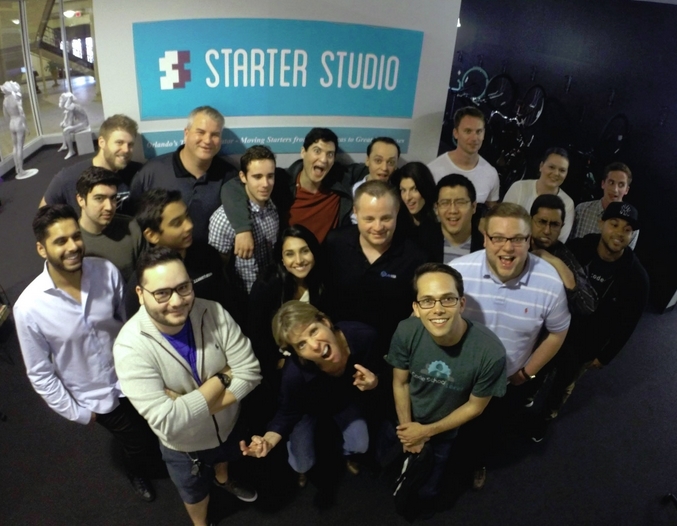 The first community affiliate to offer the acclaimed National Science Foundation’s (NSF) I-Corps Lean Startup program to high-growth entrepreneurs in Central Florida is Starter Studio. Starter Studio was launched by Gregg Pollack, founder of Envy Labs and Code School, as a passion project to help tech startups in Orlando thrive. Starter Studio provides education, mentorship, legal and financial resources, networking opportunities, and the right culture to help innovative solutions grow. Ninety-day accelerator classes are offered for aspiring tech startups. Currently, the third class is preparing for graduation. “The partnership with UCF gives our Starters additional support to grow their new venture. Participating in the UCF I-Corps program opens up the opportunity to apply for the National NSF I-Corps program as well as SBIR/STTR grants,” said Pollack, founder of Starter Studio. As a Community Affiliate, organizations such as Starter Studio, will receive training and support from UCF on delivering a tailored version of the Lean Startup education, as well as access to software and other tools for providing the various program elements. “We are pleased to have Starter Studio as our first UCF I-Corps Community Affiliate. This is the first step towards our goal of offering this proven program through a premier network of affiliates to university researchers and technology entrepreneurs throughout the region,” said Ivan Garibay, program director for UCF I-Corps. Local area entrepreneurs selected for the program, receive I-Corps seed grant funds along with other legal and financial services offered by the Community Affiliate. The I-Corps funds are applied to business, market, or early product prototype development. 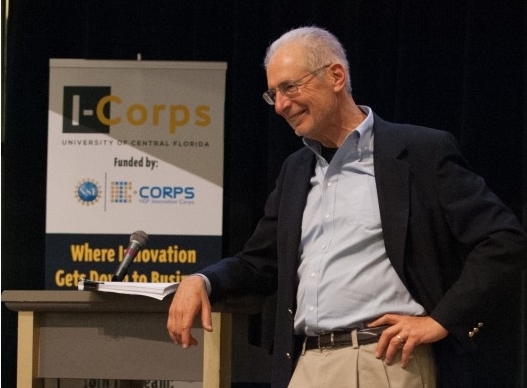 UCF was awarded the NSF I-Corps grant in November 2014 for a three year timeframe. Plans are in process to support the program through the network of affiliates beyond the period of the grant. “This is an example of UCF as ‘America’s Partnership University’. We have shown that contributing like this to the entrepreneur ecosystem in Central Florida benefits the entire economy through increased high-wage jobs and wealth creation”, added Thomas O’Neal, founder/director of UCF I-Corps and the UCF Center for Innovation and Entrepreneurship. Meanwhile, Starter Studio is preparing for its demo night on April 14th where each team from its accelerator class will showcase their work. AutoRetainer®: Provides solo and small firm attorneys the power to send a fee agreement and invoice in less than 30 seconds from any device. Clients can then sign their contract and pay their invoice online. CodeStart: Gives the absolute beginner a university-level coding education in a fun, easy, and affordable way. The interactive courses are designed to provide the skills to make creativity a reality. Comdash: A fixed-asset tracking and management solution that enables companies to maximize their ROI and mitigate losses for corporate offices and data centers. Fattmerchant: A subscription-based merchant services provider that offers unlimited credit card processing for businesses at direct cost for a monthly membership fee. Fitbot: lets trainers create individualized workout programs for their clients, track performance, benchmarks and assessments that the trainer deems are important and communicate in real-time. My School Flow: is a mobile app that pulls assignment, Facebook and email data then organizes it into a calendar that sends reminders for upcoming deadlines. Rapido – is a mobile app for homeowners searching forimmediate service from tradesmen such as HVAC, technicians, plumbers and electricians. Information about Starter Studio visit starterstudio.com. (ORLANDO, Fla) – The University of Central Florida (UCF) I-Corps committee announced the entrepreneurial teams selected to participate in the program’s inaugural class. Teams will embark on their 10-week journey beginning January 30, 2015. The inaugural I-Corps class represents a cross section of students from various UCF programs, including College of Engineering and Computer Science (CECS), Institute for Simulation and Training (IST), Florida Solar Energy Center (FSEC), NanoScience Technology Center (NSTC), College of Medicine (COM) and School of Visual Arts and Design (SVAD). UCF I-Corps teams generally consist of an Entrepreneurial Lead (EL), Principal Investigator (PI) and Industry/I-Corps Mentor. Inaugural teams include: Talon Simulations (CECS); Autonomous Vehicle (IST); Smartphone Spectrometer (NSTC); e-Book Platform (CECS); Xapagy (CECS); MotivATE (COM); HybridaSol (FSEC); Healthshares (COM); and iBeacon Platform (SVAD). These aspiring entrepreneurs will participate in an immersive, hands-on program designed to teach them how to test their ideas, gauge feasibility, understand consumer demand, examine competition and develop mutually beneficial partnerships to help transition their ideas into profitable enterprises. Experienced advisors and mentors oversee the teams and coach them toward success. I-Corps program, will be co-teaching the first and last inaugural classes with the UCF teaching team. 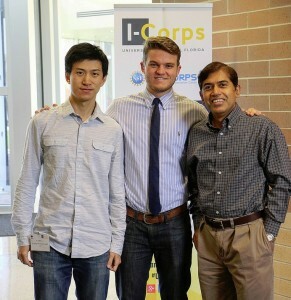 I-Corps at UCF is Officially Here! UCF is excited to begin the Fall 2014 semester as an I-Corp site! The university has partnered with the National Science foundation (NSF) to create Florida’s first link to one of the agency’s hottest new funding and innovation strategies, NSF’s I-Corps program. The NSF Innovation Corps, or I-Corps, is the agency’s signature effort to push scientists and engineers outside of their laboratories and into the marketplace where they can learn first-hand what is required to make products that consumers want. The primary goal of NSF I-Corps is to foster entrepreneurship that will lead to the commercialization of technology that has been supported previously by NSF-funded research. 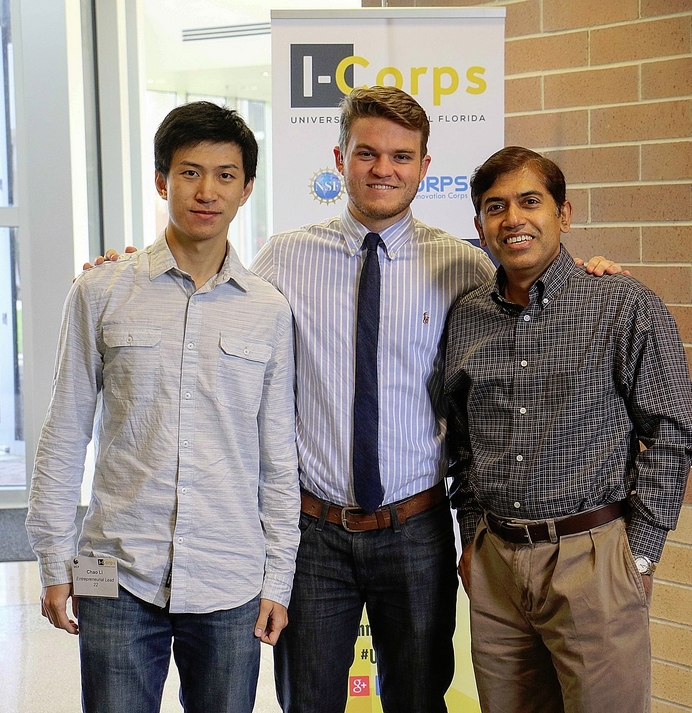 UCF is one of 15 universities nationwide that is leading an I-Corps site. NSF has also established five regional I-Corps centers, or nodes, located in such innovation hotspots as Washington DC, New York City, Michigan, San Francisco and Massachusetts. UCF has received $300,000 in NSF I-Corps funding and will use it to reach even more potential inventors and innovators. The goal of the program is to recruit and train 96 entrepreneurial teams that could result in 96 new companies in three years. The new program will offer up to $3,000 to 32 teams annually to be used as early development seed money to turn their entrepreneurial ideas into potentially viable companies. 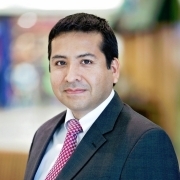 Development of prototypes, customer research and travel to meetings with potential customers would all be acceptable expenses, said Ivan Garibay, researcher at the Center for Innovation and Entrepreneurship and I-Corps Site Program Director. Teams will consist of an entrepreneurial lead (who could be a student), an industry mentor, and an academic lead (typically a faculty member). By utilizing a group of experienced advisors to mentor and coach the selected teams, the NSF is counting on cultivating more qualified applicants for larger funding awards, such as the $50,000 offered by the NSF I-Corps Teams program, and up to $1.4M in awards from the NSF SBIR program. The I-Corps program, which will be housed at UCF’s newly established Center for Innovation and Entrepreneurship (CIE) , is developing a new generation of entrepreneurs and increasing the economic impact of fundamental research by combining a method for company creation that has proven successful in Silicon Valley with hands-on coaching and feedback from consumers. A selected group of teams will be participating in a fall pilot program called the Lean LaunchPad Bootcamp. UCF students and faculty, who are interested in participating in the bootcamp can submit an application found on the website: icorps.cie.ucf.edu. The CIE is the collective home for UCF’s existing entrepreneurship programs and will be an integral part of both the identification of potential team members and the follow-up mentoring and coaching activities. A specific goal of UCF’s I-Corps program is to increase the numbers of women and underrepresented minorities involved in starting companies. Did you know that UCF has already been established as the center of an entrepreneurial ecosystem? This program will only augment its efforts to promote innovation and entrepreneurship not only through all of Central Florida, but throughout the entire state! View the full announcement of the I-Corps program at UCF here. https://icorps.cie.ucf.edu/wp-content/uploads/2014/08/0001306.jpg 353 261 UCF I-Corps /wp-content/uploads/2013/04/logo-cropped.jpg UCF I-Corps2014-08-19 17:58:372016-02-02 15:17:10I-Corps at UCF is Officially Here! I-Corps program executive committee: Ivan Garibay, Cameron Ford, Tom O’Neal, Pallavoor “Vaidy” Vaidyanathan and Oscar Rodriguez. Not pictured, Timothy Kotnour and Michael O’Donnell. 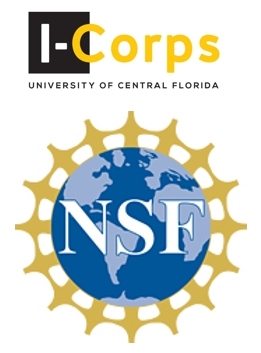 (ORLANDO, Fla) – UCF has partnered with the National Science foundation (NSF) to create Florida’s first link to one of the agency’s hottest new funding and innovation strategies, NSF’s I-Corps program.